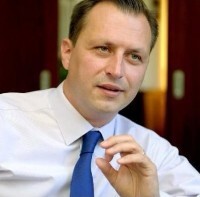 The Luxembourg-Poland Business Club is proud to announce that the former Ambassador of the Republic of Poland to Luxembourg (2011-2016) and a honorary member of the LPBC, Mr Bartosz Jałowiecki is the LPBC's official representative and contact person in Poland, since January 2017. The LPBC has already established position in Luxembourg's business scene, now with the help of Mr Jałowiecki we are setting the foundation for building even stronger bonds with our members in Poland. Luxembourg-Poland Business Club, in collaboration with the Ambassador of the Grand Duchy of Luxembourg to the Republic of Poland Mr Conrad Bruch, and Mrs Agnieszka Noel-Druzd from Société Générale Bank & Trust Luxembourg are proud to announce the first Luxembourg-Poland Round-table on Sustainable and Responsible Finances & Wealth Management. 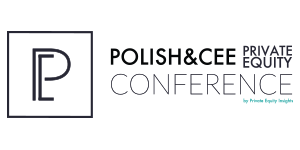 For the fourth time Luxembourg-Poland Business Club and Private Equity Insights, are delighted to present you with the Private Equity Conference for the Polish & CEE market and beyond. The Luxembourg-Poland Business Club and Deloitte Luxembourg in partnership with The Post Luxembourg and The Luxembourg House of Financial Technology (LHoFT) are pleased to announce a forthcoming conference dedicated to Fintech. The conference will take place on Thursday, 30 March 2017 from 17:00 to 18:30 and will be followed by a cocktail. The conference will take place at Deloitte Training Area in Neudorf, to find out more about the presentations and the speakers go to http://lpbc.lu/fintech-conference/. Please confirm your attendance by registering on line (click here) no later than Friday, 3 March 2017. As we have a limited number of places available, we encourage you to reserve a seat as soon as possible. Please be aware, that LPBC adheres to Deloitte's rules regarding invitation to this event meant for non-competitors of Deloitte. as announced in our December 2016 Newsletter, we are adding a section dedicated to our members. The LPBC's monthly newsletter reaches an audience of more than over 2,000 subscribers whilst the majority readers are based in Luxembourg, we have seen the readership spread across the world, in countries such as Japan and Australia. Please be aware that there are only 12 months in a year, and over 50 members,we do not want to discriminate against anyone, so we will publish the first 11 applications received. Copyright © 2017 Luxembourg-Poland Chamber of Commerce, All rights reserved.